Production I.G. 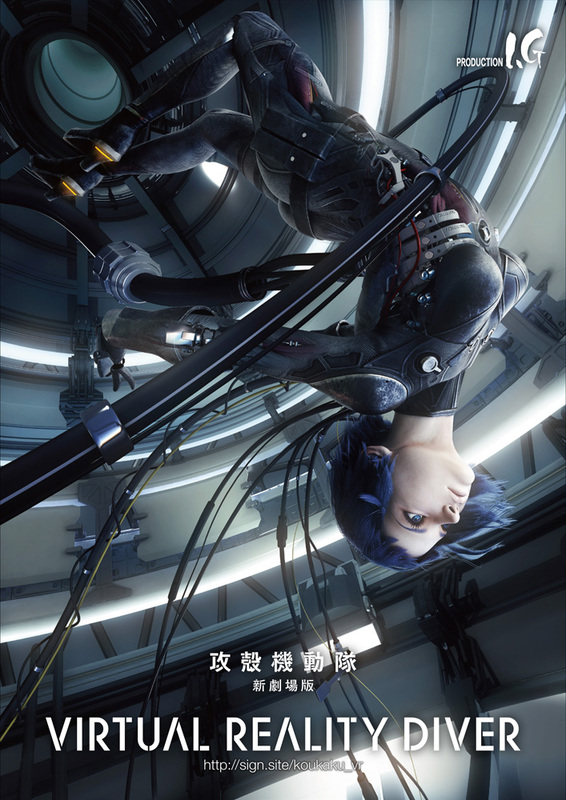 has announced its intent to enter the virtual reality market by revealing a new app titled Ghost in the Shell: The New Movie Virtual Reality Diver (Koukaku Kitoudai Shin Gekijou-ban Virtual Reality Diver) for Oculus Rift. The app will contain an original 10-minute video, recorded in 360° 3D which can be viewed with VR. A 3-minute demo will also be available worldwide for the Rift on the App Store and Google Play. The full version will be released this winter for 480 yen, roughly $4 USD. In addition to the playable demo, Production I.G. will have a demo at its booth at Tokyo Game Show 2015 coming up this weekend. The demo will be shown on a 6-meter (roughly 20 feet) spherical screen so that it can be viewed by more than one person at once. Ghost in the Shell: The New Movie Virtual Reality Diver is part of “SIGN”, a new project ongoing by Production I.G. in collaboration with Nobumichi Asai from visual design studio WOW, who has a history in 3D projection mapping. Also joining the project is Satoru Itoya, who has aided in the production of dome theater camera and projection hardware, and Toshiyuki Takahei, founder of Orihalcon Technologies, a video graphics design company. These three will be serving as creative director, technical producer, and technical director, respectively. In addition, Production I.G. has their own Mikio Gunji as executive producer, Atsunori Maeshima as producer, and assistant Hiroyuki Ogino working on the project as well. With this VR project, Production I.G. intends to create the physical sensation of being somewhere else, and to combine art with futuristic cyberpunk technology. The Oculus Rift is planned to ship its consumer model in the first quarter of 2016. Ghost in the Shell: The New Movie released in Japanese theaters in June 20, and Funimation plans to release the movie in North American theaters in the fall.